Oysters are typically enjoyed raw. Therefore, it is essential that oysters be kept alive until they are ready to be consumed. 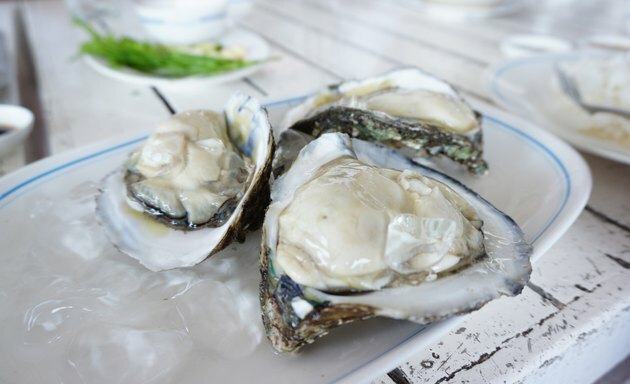 Eating spoiled oysters can result in food poisoning, according to "Foundations of Nursing," which can lead to nausea, vomiting, diarrhea and general gastrointestinal upset. Fully inspecting your oysters prior to eating them can alert you to spoiled oysters, says "Food Regulation: Law, Science, Policy, and Practice." Ask the staff at the fish counter where you purchase your oysters when they were harvested. Only purchase oysters that were stored on ice to preserve freshness and are no more than four days old, which is their maximum shelf life, according to "Techniques of Healthy Cooking." Inspect each oyster's shell and discard any open oysters. Open shells indicates the oysters have died. Open the oyster and inspect the oyster's fluid and meaty center. A fresh oyster will appear moist, whereas a spoiled oyster will appear dry and have a wrinkled texture. Smell the oyster. Any oysters with a rancid smell should be discarded, as this is a sign of a spoiled oyster. How Long Can You Keep Fresh Fish in the Fridge Before You Eat It?